doorLink 3630 Carriage House Grooved Insulated Panel - The Wright Door Co. 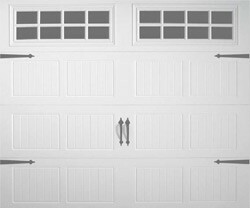 The 3630 doorLink Carriage door is a beautiful up-to-date garage door that enhances the look of your home while making your garage more energy efficient and climate controlled with its thick steel and insulated panels. 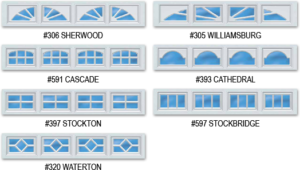 These carriage house garage doors set your home apart from the rest with style and sophistication while providing the quality, durability, and long life we expect from doorLink doors. The insulation is pressure bonded to the doors and the exterior has an embossed, detailed finish that is easy to maintain and keep clean. You can choose from optional decorative hardware, window choices, and colors to make this door truly fit your home. Please read the info below for technical details and options from the manufacturer.